The wide open spaces and rolling countryside of northern Maine are among the richest, most productive agricultural land in the state. In Maine, they call this "The County," and here the potato is not just about making french fries; it’s a staple of the region’s economy. 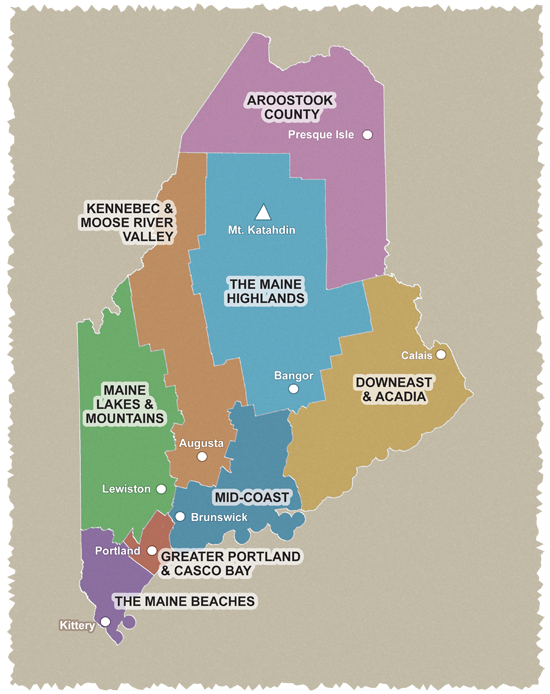 These exhilarating rides take cyclists through the heart of this beautiful, rural landscape with stops along the way to learn about Aroostook County. The 28-mile ride is a popular local ride through farm country north and west of Presque Isle. The 50-mile loop takes in farm and potato country from Washburn to Caribou to Fort Fairfield and back to Presque Isle. Plan your visit to Aroostook County in mid-summer when the potato blossoms are at their peak—beautiful pink and white blossoms as far as the eye can see. Cautions: Heavy traffic in Presque Isle and Caribou. The route in Caribou may be confusing due to traffic patterns; please follow cue sheets carefully. Starting point: All rides originate from the public parking lot on Riverside Drive near the Courthouse in Presque Isle.